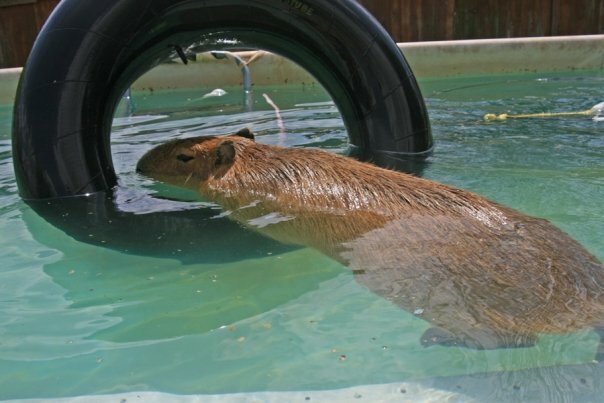 Time for my second installment of Capy Shout Outs! These are shout outs to people/animals/plants that are special to me. Okay, I don’t have any plants on my special friends list yet, but it could happen. Claudia Enna: Thanks for being such a great friend! 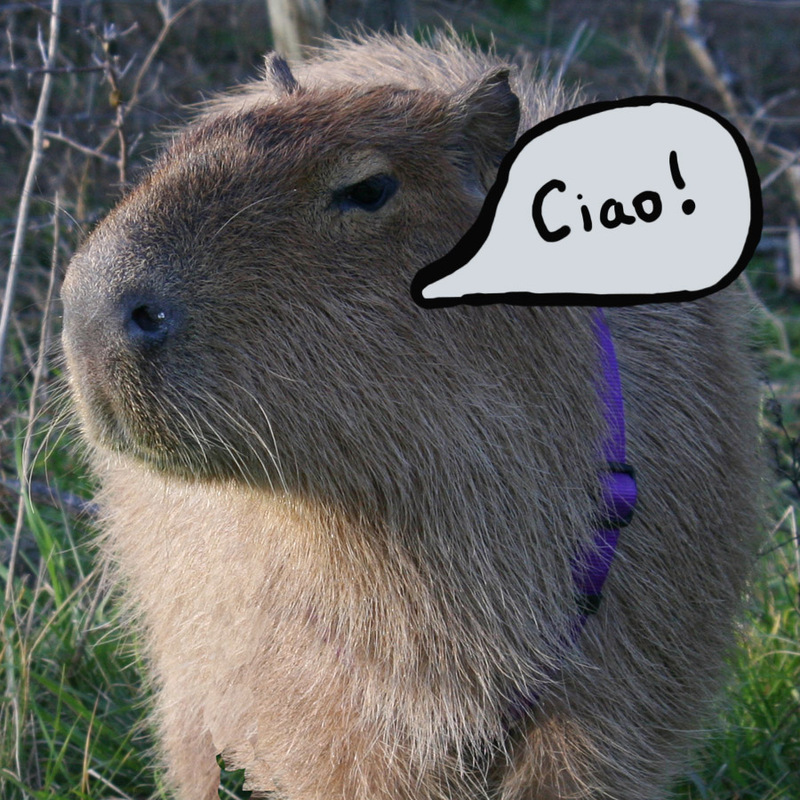 Italy is so far away, I am glad we have the internet so we can at least meet virtually. 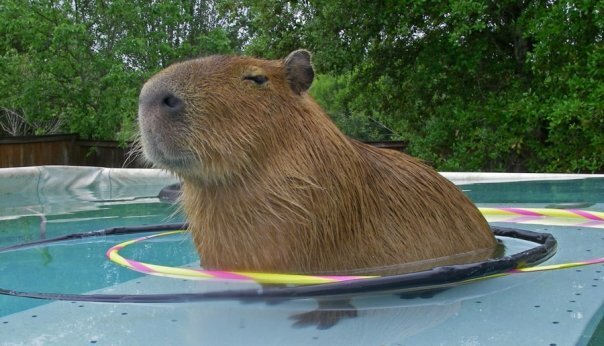 Don’t worry, be happy! 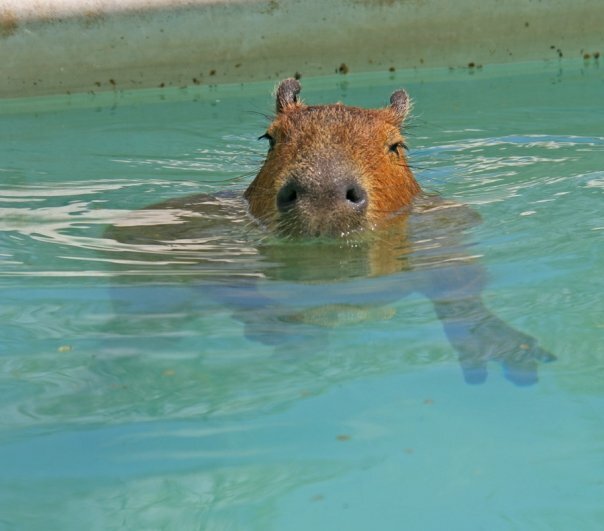 Venita (@vernbern), The Cap & Mini-Cap: I hope you found Mini-Cap, I’m worried about him. Thanks for the puzzle present! 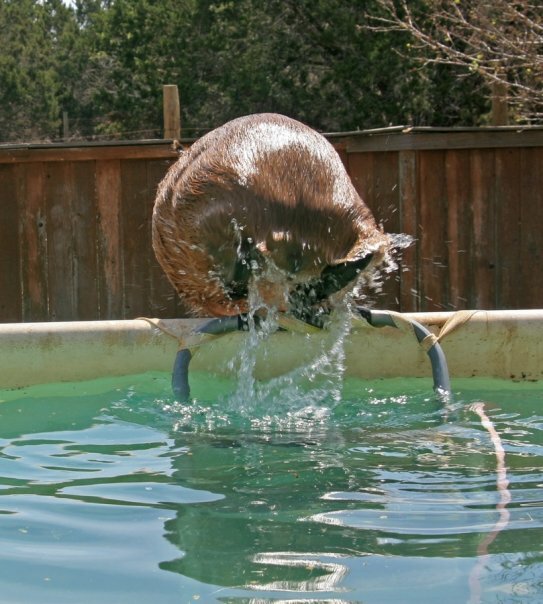 Lyle Buencamino & Hanna Pettyjohn: Hope you make it to Austin for a visit! Looking forward to meeting more fans! 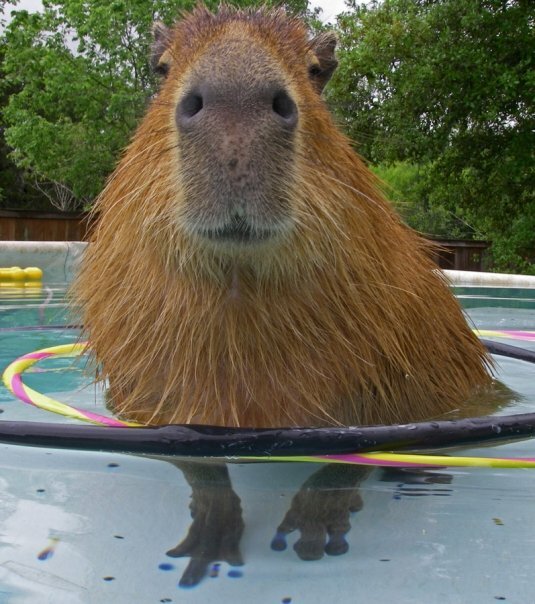 @BZTAT: Hope you had a capy birthday and thanks for being my friend. Dobby: Hey little bro., almost your first birthday. Make sure Stacy gets you something nice. I am going to send you a little present so you’ll need to watch your mail. Remember, if you want me to give someone a shout out, drop me an email using the contact page. Sometimes things happen that you don’t expect. Or they have unexpected consequences. 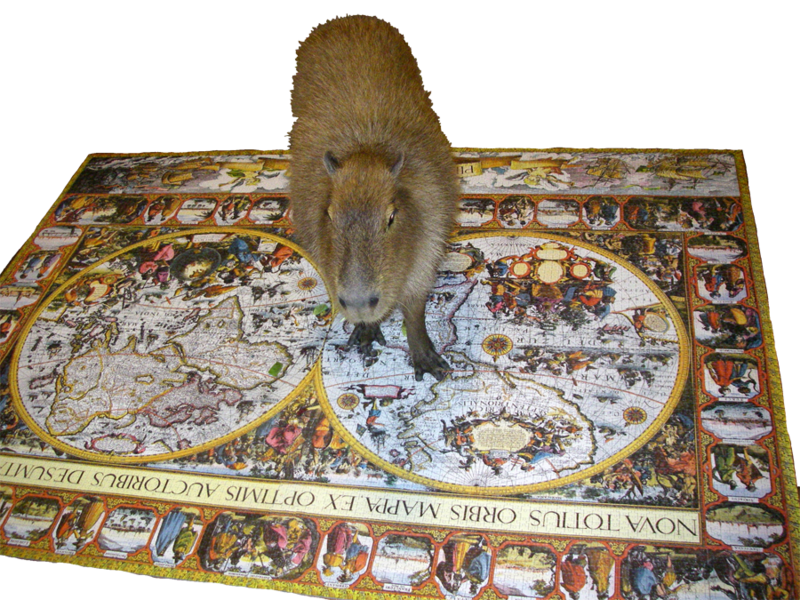 For example, suppose Philip gave my owner a giant Ravensburger puzzle with over 9,000 pieces for New Year’s. And instead of keeping the two halves of the puzzle separated, as they came in the box, suppose Philip mixed all the pieces up. What do you think the effects of that would be? It started out fun enough. Coral, Carl and Neptune were still living with us and they helped put the first parts together. But then they lost interest in the it and it was just me and my owner. We did our best but it was slow going. Turns out that a 9000 piece puzzle is more than nine times as hard as a 1000 piece puzzle. My owner and I spent hours and hours on it but made very little progress. 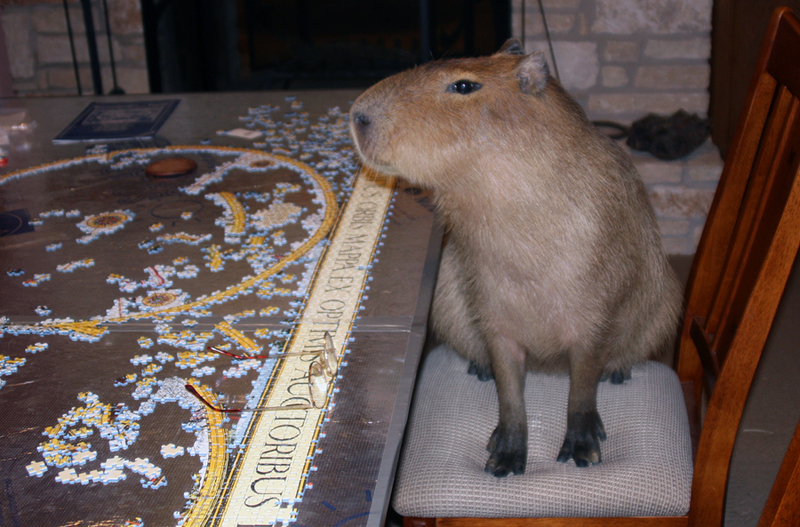 I have to admit, when my owner was not around, I didn’t really do anything on the puzzle. Every day when she came home from work, it looked exactly as it did when she left. I did sometimes pick up the pieces off the floor and carry them to her in my mouth. That was helpful. What do you mean, did I work on it today? In September we still had tons of work to do. That table was big to start with and my owner had to make it even bigger by putting some board on top of it just to fit the puzzle on. 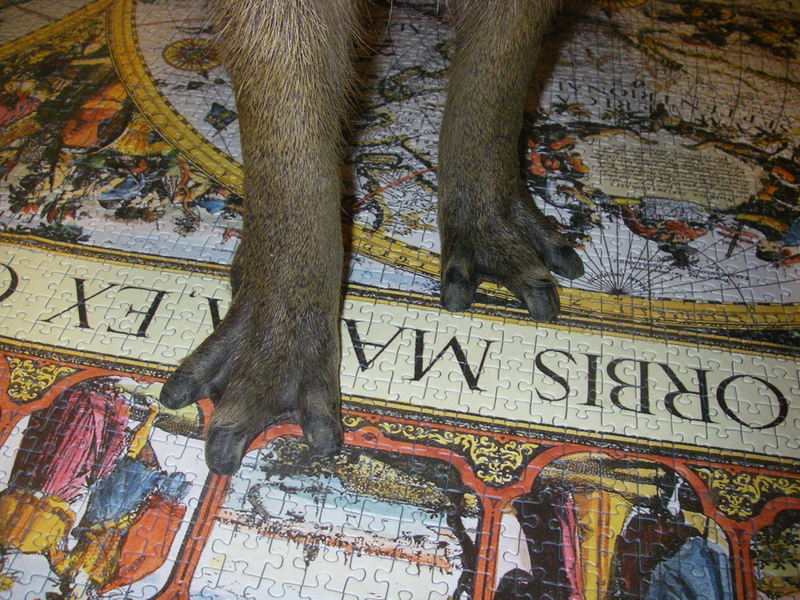 Still all the pieces wouldn’t fit and had to be kept in plastic bags until enough pieces found a place inside the puzzle to free up some room. 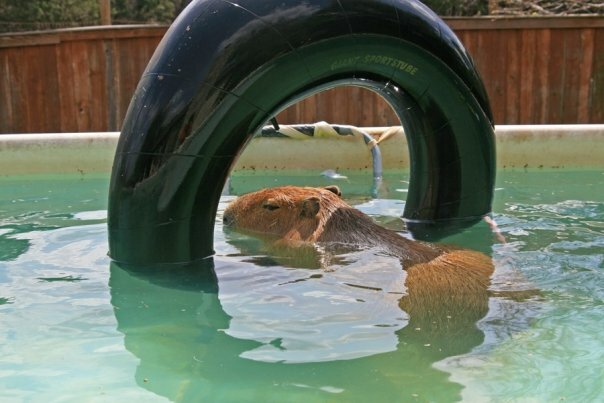 By November we were almost done but my owner was pretty depressed about the whole thing. 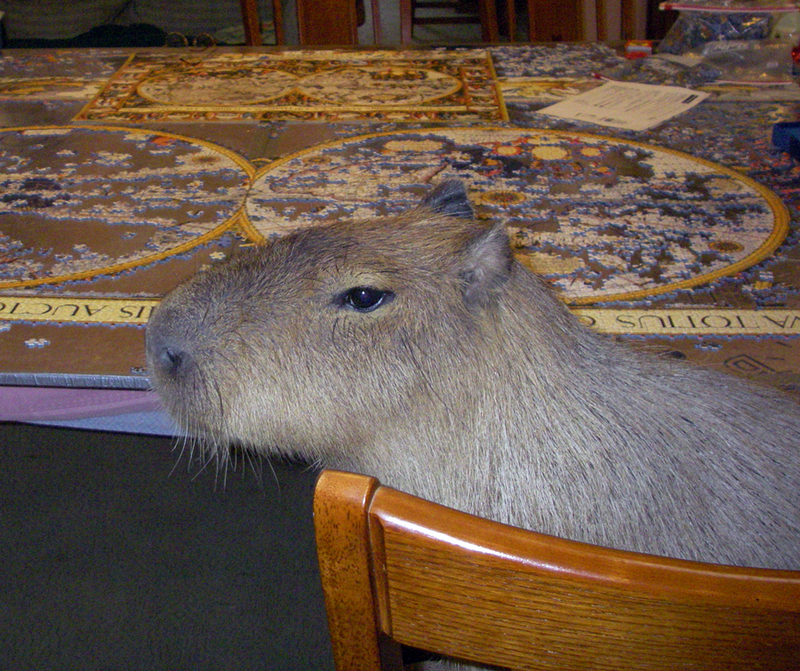 She kept saying she hated the puzzle. Actually, I did too. I wanted to spend more time outside before the weather got cold. But my owner said we had to finish before New Year’s came around again. It was approaching surprisingly fast! 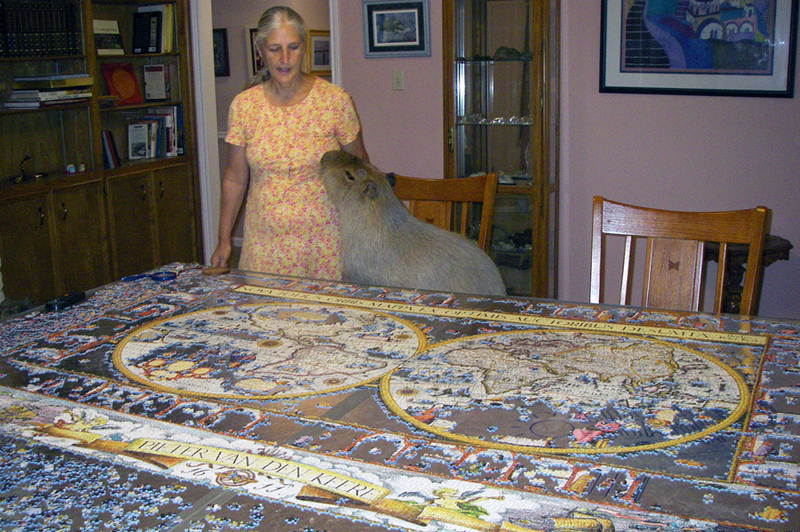 I hated to see my owner like that so one day I decided to just get up there and finish that puzzle myself. There weren’t that many pieces left. She will be so surprised, I thought. So happy when she sees it done! I could hardly wait and I set right to work. But my owner came into the room when I wasn’t expecting and she panicked! Maybe she wanted to be the one to put the last piece in, I don’t know. She made me get off the table though and that pretty much put a stop to my actual work. Of course I still had my job as companion and moral officer. You can see how hard it is to put pieces in with these paws. 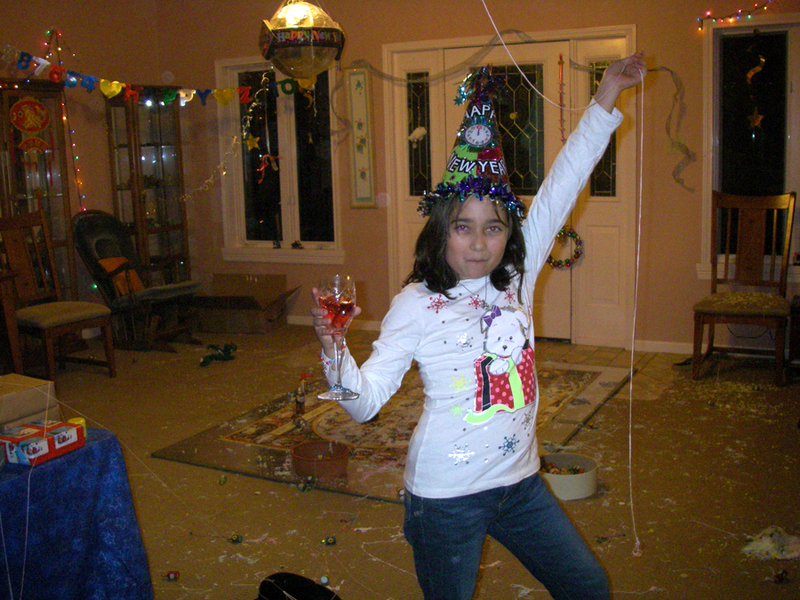 When it was all done, she moved the whole setup onto the floor where I could see it better. And she didn’t care if I walked on it anymore so I’m pretty sure her previous protest was because she wanted to make sure she was the one to put in the last piece. 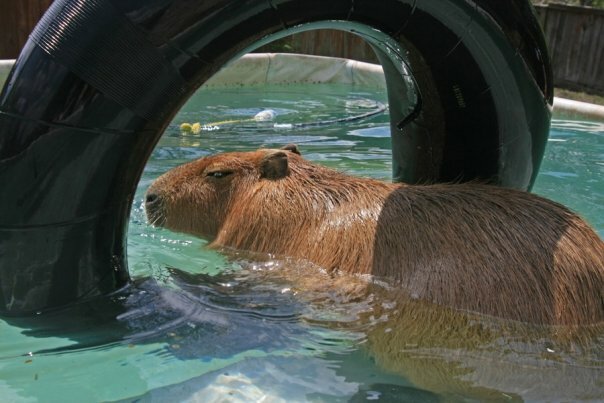 Speaking of capybara puzzles, guess what! 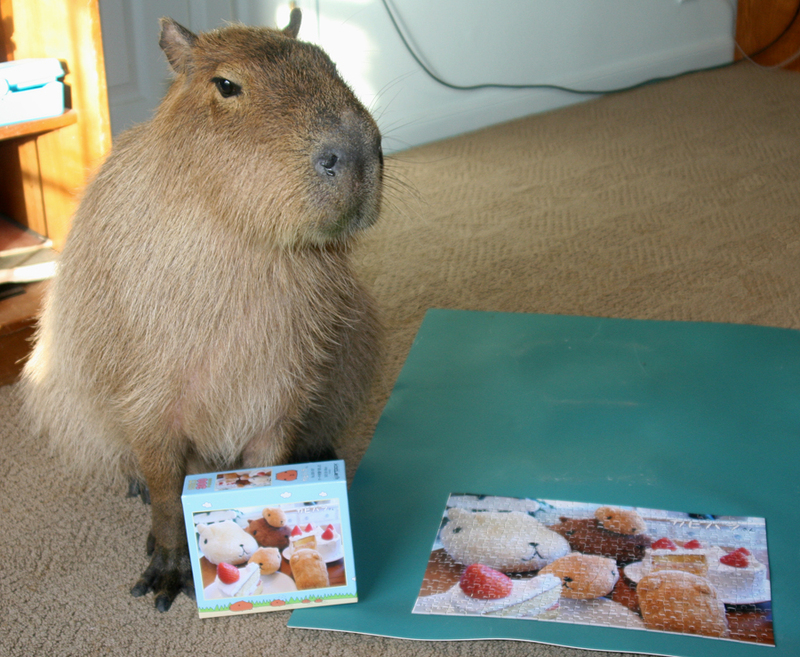 My good friend Venita (@vernbern on twitter), gave me a Kapibara-san puzzle for New Year’s this year! Isn’t that cool? 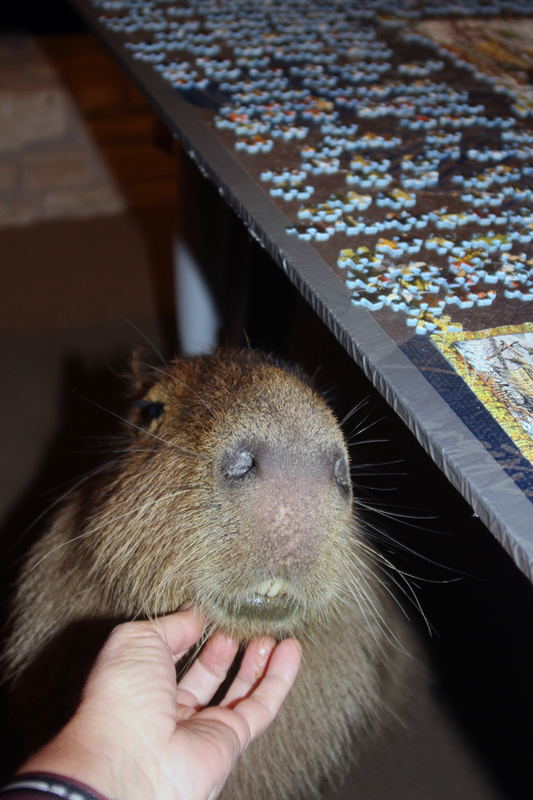 My owner and I had plenty of time to work on it since we didn’t have that other stupid puzzle any more. 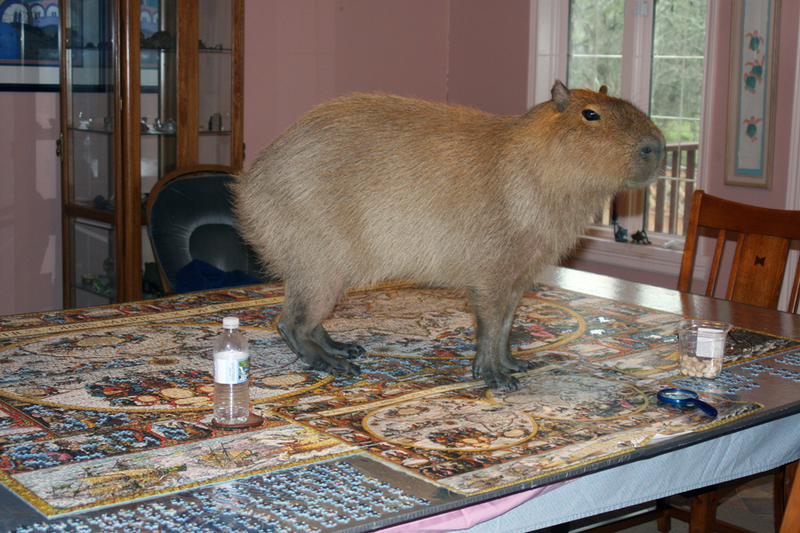 The Kapibara-san puzzle was only 300 pieces which my owner said was the right number of pieces for a puzzle to have. 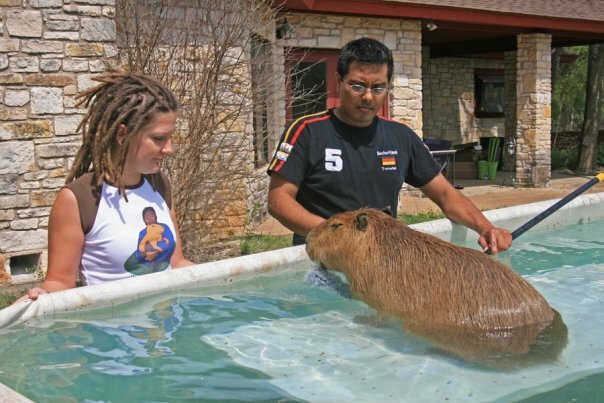 Plus it was capybaras. We finished it already and it’s still January! Venita has two Kapibara-sans of her own, The Cap and Mini-Cap. I think they are both in the picture on the puzzle but I’m not sure. The Cap and Mini-Cap are pretty famous though, they have their own blog, so I wouldn’t be surprised. Thanks for the great gift, Venita! And give The Cap and Mini-Cap hugs from me.